"When you've seen it all, you'll swear there's never been anything like it!" The Manchurian Candidate is a war thriller based on Richard Condon’s novel of the same name. The film stars Frank Sinatra, Janet Leigh, Laurence Hervey and Angela Lansbury. The film is set during the Korean War. The Soviets capture an entire platoon of American soldiers and hold them hostage in Manchuria. After the war is over, the soldiers are taken back home to the US. Captain Bennett Marco credits Sergeant Raymond Shaw with saving the men’s lives and recommends him to receive the Medal of Honor. Captain Marco knows, however, that something is very wrong with Shaw. He has recurring nightmares that lead to the theory that Shaw had committed a terrible crime while hypnotized. When Marco realizes that other platoon mates are also having the same nightmares, they secure help getting an official investigation. Trails lead back to Shaw’s mother, Eleanor Islin, who is the political manager of Senator John Islin. The senator is Eleanor’s husband and Shaw’s step father. Shaw doesn’t realize that his mother is a secret communist agent who had used mind control techniques to command Shaw to commit murder. The platoon’s memories of Shaw’s heroic acts were not real, and the memory was implanted by the same mind control techniques. When investigators start to get a little too close to the truth and threaten Senator Islin’s bid to become vice president, Eleanor re-triggers Raymond’s hypnotism to get him to assassinate a key political rival. Marco discovers that a playing card, the queen of diamonds, is the key to Shaw’s hypnotism. Marco takes a deck of playing cards and confronts Shaw to get to the bottom of the assassination plot. Eleanor’s mind-control tactics are too strong, and Marco is unsuccessful. She still plans to use Shaw to murder Senator Islin’s presidential running mate making him the candidate by default. The final shocking sequence of the film shows whether Shaw can overcome the mind control and save the country for real. 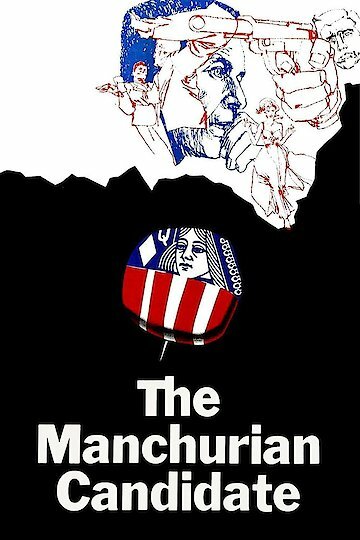 The Manchurian Candidate is currently available to watch and stream, buy on demand at Amazon, iTunes online.